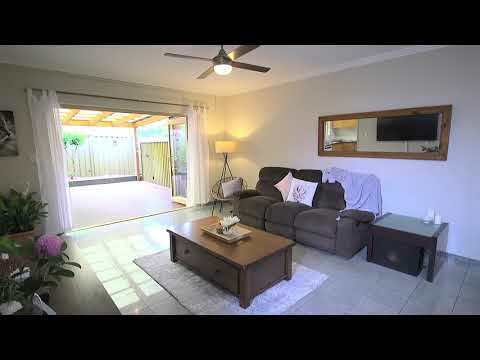 Positioned at the back of this well maintained complex and blending generous proportions with a convenient location, this three bedroom townhouse is designed for effortless family entertaining, offering the perfect opportunity for young families. Spacious open plan lounge and dining flows to over-sized undercover entertaining haven. Three large bedrooms, main is positioned separately upstairs with separate bathroom and generous walk in robe. Separate spacious courtyard, ideal for young families and downsizers looking for extra room for entertaining. Double lock up garage, internal laundry and abundance of roof storage. Located close to Westfield Shopping Centre, schools, sporting fields and public transport, this over-sized townhouse is a private family haven.